This Demon does not belong to the list of 69 Demons of the “Pseudomonarchia deamonum” of Jean Wier. Samuel Mathers, in his “Lemegeton and Goetia” does not mention it. Nahema-Nephthys and Anubis in their “The Prince of this World, Precise Western Demonology and Dictionary of Demons” write, I quote, that Agnan is a “Demon who torments mainly Americans (?) By apparitions and malice. Its forms are varied. What can we understand from these two definitions? Agnan is a Demon who loves to torment and who shows himself in different forms, sometimes human, sometimes animal. Its territory is America and especially Brazil. And here I ask myself a question: why America? Who decreed that this Demon would only appear in America? I went deeper into other manuscripts and the internet, and what I found left me speechless. There are several French communes that bear the name of this Demon (Saint-Agnan, in Aisne, Saint-Agnan in Eure, Saint-Agnan in Moselle, Saint-Agnan in Nièvre and Saint-Agnan in Saône-and -Loire). There is also a Saint-Agnan church in the hamlet of Saint-Agnan in Moselle. To put the holy word in front of a name of Demon leaves me perplexed, not to mention other communes which carry an extension of this name, like Saint-Agnan-of-Cernières, Saint-Agnan-in-Vercors … It is perhaps to be in reference to Agnan Bishop of Orleans. Agnan is also a mixed first name worn by both girls and boys. It's a Greek name that means agnê, chaste, innocent. It is celebrated on November 17th. This name was worn by the Bishop of Orleans, who saved the city from the hordes of Attila in 451. So Saint-Agnan is one of the patrons of Orleans. 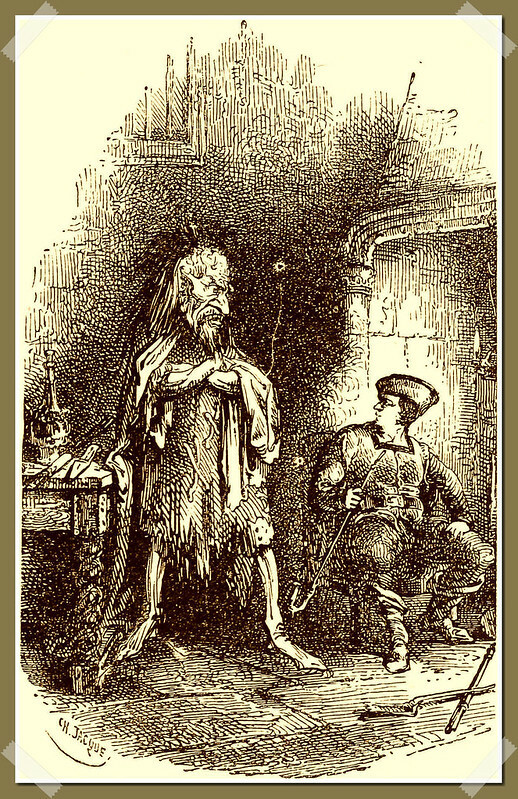 According to Reginald Scott in his book “The Discovery of Witchcraft” released in 1584, Agnan is a Demon who lives in America and breeds plague. So Agnan, in addition to tormenting humans, causes disease. I found a video on the site You tube in which we see a Demonic presence. This video is not very good. She is shot in Brazil. I put the link to you, to make your own opinion. It might be Agnan .